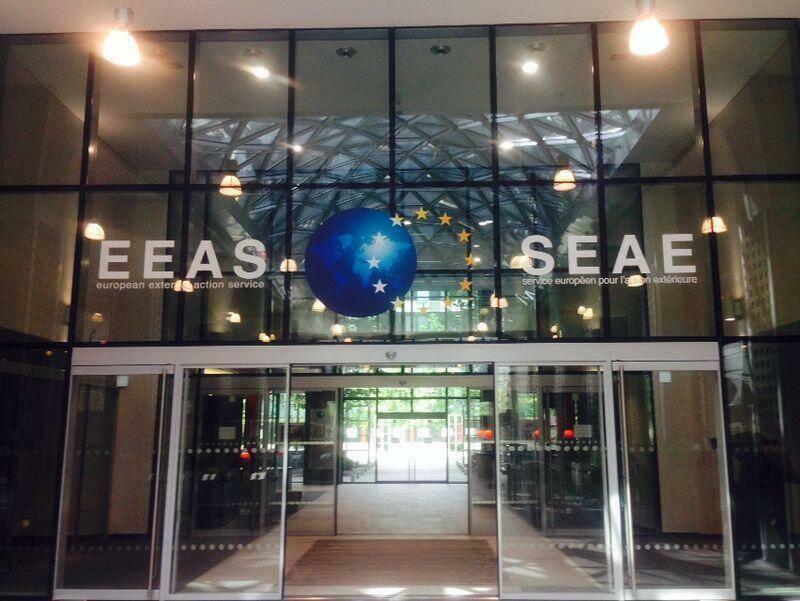 Ramadan Tent Project was represented at the European Union Commission in Brussels on 19th and 20th May. The invitation was extended by the Muslim Charities Forum, aiming to strengthen the ties between the EU Commission and Muslim charities. You can read more about the meetings held during the visit and see pictures on the Muslim Charities Forum website. 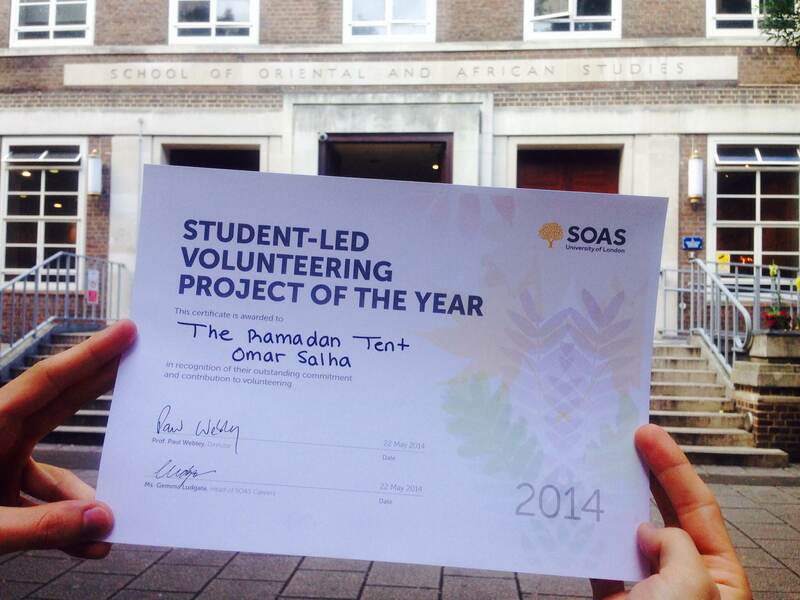 And the Project of the Year Award goes to… Ramadan Tent Project! 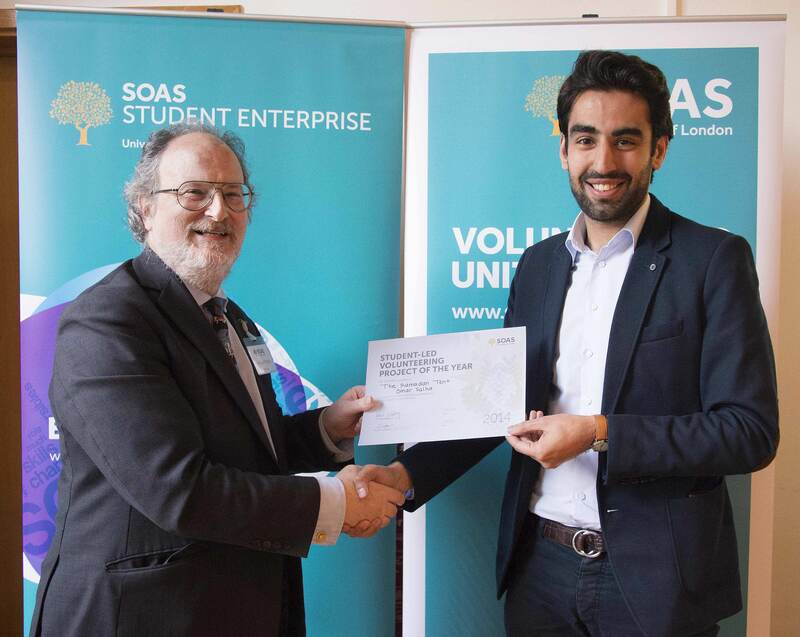 The Ramadan Tent Project was awarded the “Student-Led Volunteering Project of the Year” for 2014 at the Make A Difference Celebration at SOAS University of London this week. Congratulations to the Ramadan Tent Project, its founder Omar Salha, and the dedicated volunteers for achieving well-deserved recognition for their hard work. SOAS, ranked among the UK’s top universities for activism, is known for the students and alumni who are passionate about positive social change. PhD student Omar Salha began the Ramadan Tent Project in 2011, and each year it has expanded tremendously, making a remarkable impact on the community. In 2013, the Ramadan Tent Project hosted hundreds of participants each evening during the month of Ramadan. Prominent authors, journalists, and community leaders were guest speakers at the Ramadan Tent Project, which was featured last year by various news channels, including the BBC. We can’t wait to see how Ramadan Tent Project continues to expand in 2014 and in the years to come! Did you get to experience Ramadan Tent Project last year? What is your favourite thing about the Ramadan Tent Project? Please share by commenting below.